Porky Pig is a beloved character created by Bob Clampett for Warner Bros. Looney Tunes and Merrie Melodies series. Porky was the first cartoon character created by Warner Bros. to make into a cartoon star of the type which would attract significant audiences. More than any other line, he is wildly popular for his phrase at the end of the cartoon short saying, "Th-th-that's all folks!" That of course provides great material for those wanting to dress up like Porky Pig for a Halloween or other type of costume party. Just mastering that one sentence will garner a lot of attention and laughs. Just don't overdo it or you'll be considered obnoxious. Porky still remains a popular cartoon character since he was first introduced in 1935. 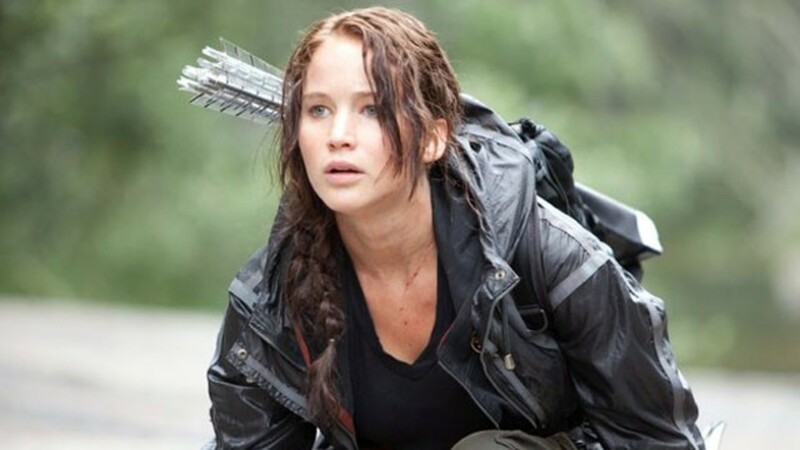 Since then other popular characters have emerged that took over the No. 1 spot, including Daffy Duck and Bugs Bunny. But the good natured continues to hold a place in the heart of those that have watched him growing up, and still makes a great option for a costume. 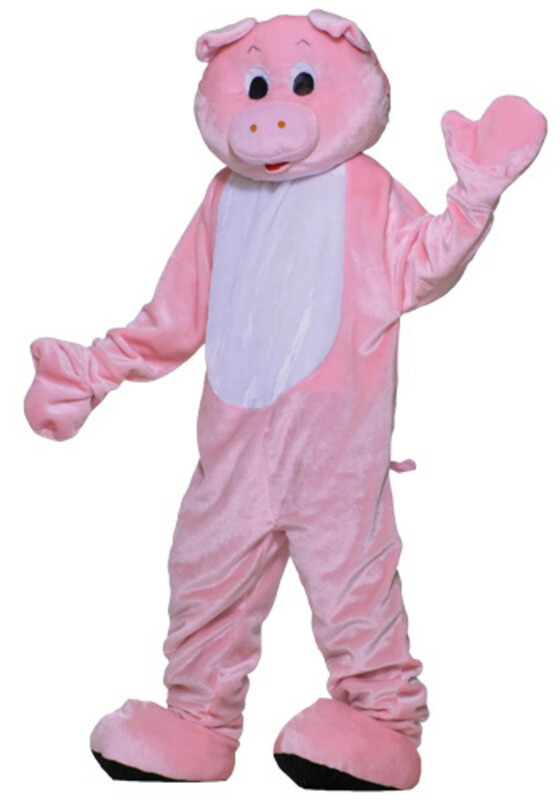 Porky Pig is pretty standard in his looks, and you can buy a costume if you wish, one which will look like Porky. 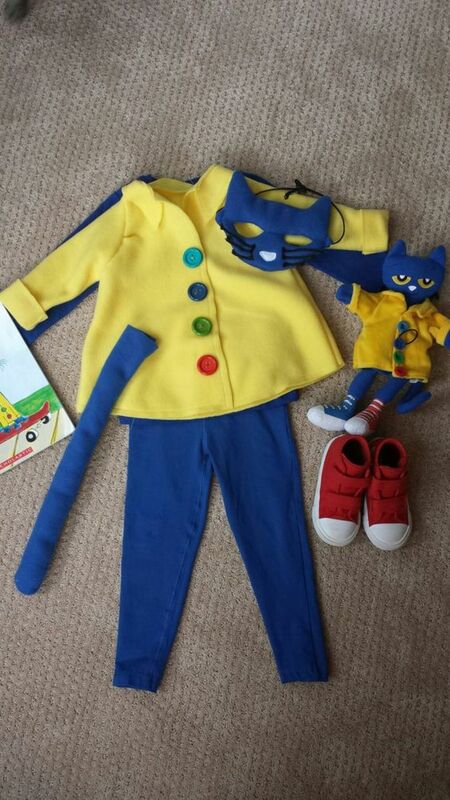 Another more fun way is to make up your own Porky costume. That's not as daunting a task as you may suppose, as it's not difficult if you use a pink jumpsuit, a pair of pink sweatpants or sleeper and a shirt. No one will care about the reality of the body, as it's the nose, eyes, ears and tail that are the compelling part of the Porky look. The key to making a successful Porky Pig costume is having something to attack the eyes, nose, ears and tail to. That has already been addressed with the body. For the important head of Porky, you could use a stocking cap to attach the ears and eyes to. You can make a nose with a rubber band or stretchy item of some sort to wear it on the head. Pig noses are pretty easy to find, so you could buy one if you want to. Keep in mind that some of the fun and hilarity of making a Porky Pig costume is a little bit of the failure in being totally accurate. You'll see some photos below of some funny Porky faces that are humorous because of how the look. Either way, a good pig nose is a must, whether it's real accurate in looks or not, as it's probably the most enjoyable of all of Porky's characteristics. The best thing to do when making a Porky Pig costume is to get a picture to look at. You'll see when looking at the ears that that they have the shape of a triangle. Since felt is easy to work with and holds well, that would be my first choice of fabric to use in making a Porky face. All you have to do is get the shape and size of the ears you want and cut them out of the felt. Keep in mind they pieces will have to be attached to one another, so leave a little extra size on the felt ears to allow for that. If you don't, you'll find out your ears will be much smaller than you wanted. At the place where the longer part of the ears are located, sew them together, approximately at the extra length you afforded them. About 1/2 an inch should do, assuming that's the extra size you gave it. Also be sure to leave the bottom part of the ear open, as you'll have to attach them later on to the cap. Once you've finished the ears, just turn them inside out and they'll be ready for the next step, which is to attach the ears to the top of your cap. As you do that remember to tug in the edges to give a clean look. Assuming you're making Porky's nose, again, look at a picture of the nose to get an idea of how it should look. Using felt again, cut out the shape of the pig's nose and simply glue it onto your hat in the proper place. From there all you have to do is add the black nostrils on the snout to finish it off. Try to place these in the right locations so it doesn't look too weird. To design Porky's eyes, take some white felt and cut it in the oval shape that is part of his look. When looking at images of Porky, notice that almost all of them include a slight flat part at the bottom of the eyes, so you could include that if you want a more realistic look. Once that is glued onto the hat and is dry, take your black fabric pen and color in the places for his eyes on the white ovals you just placed on the hat. Another option for those you want to see if you decide to pull the cap over your face as a mask, is to cut out the place where you want the yes and attach some dark mesh to it. That way you have the dark eyes look as well as being able to walk around with a full mask of Porky. To make the tail of Porky Pig, take some pink felt and cut it the length you want it to be. Keep in mind that pigs in general, and Porky specifically, doesn't have a real long tail, so you'll want it long enough to be noticed and humorous, but not too long that it is way out of character. Whatever length you decide on, after you cut it, take the edges and sew them together to create the round look. A way you can make the tail appear curly is to take some pipe cleaners and insert them inside the area you sewed together. All you do there is turn it inside out and place the pipe cleaners in there. Now sew the tail on the back of the pants or outfit you're wearing. Once it's in place, then you can adjust the tail by twisting and turning the pipe cleaners to the desired shape. If you want to have pink hands and feet for Porky, simply get some pink mittens, or use something you have and color them pink. Mittens work better than gloves because they look more like a pig, although Porky was shown with fingers, so that isn't that important if gloves are what you have. The feet can be made from pink slippers, or any type of footwear you can use that is pink. They also can be colored for the best effect. You could even color in the tips black to give that hoof appearance of Porky. Now here's an interesting idea I didn't think of - using a skullcap as a base for the Porky Pig head. Pretty good thought. This is one of those costume or mask looks that is so bad it's good. Who wouldn't get a good laugh when seeing this as they come upon it. As for improvements, I would have colored the skull cap pink, and built out the Porky Pig head from there. The ears would have looked better if more triangular as well. But still, it's a great idea to use the skull cap, and it has a lot of potential to create an awesome Porky Pig. I really like this simple video tutorial on how to make a pig mask using everyday items like a paper plate and a plastic cup. That's one obvious thing I didn't think of first for a pig nose - using a plastic or styrofoam cup attached to a rubber band or something similar, to make the design. After you watch this video, you could follow the steps, or take a few more yourself to make it look more like Porky Pig. 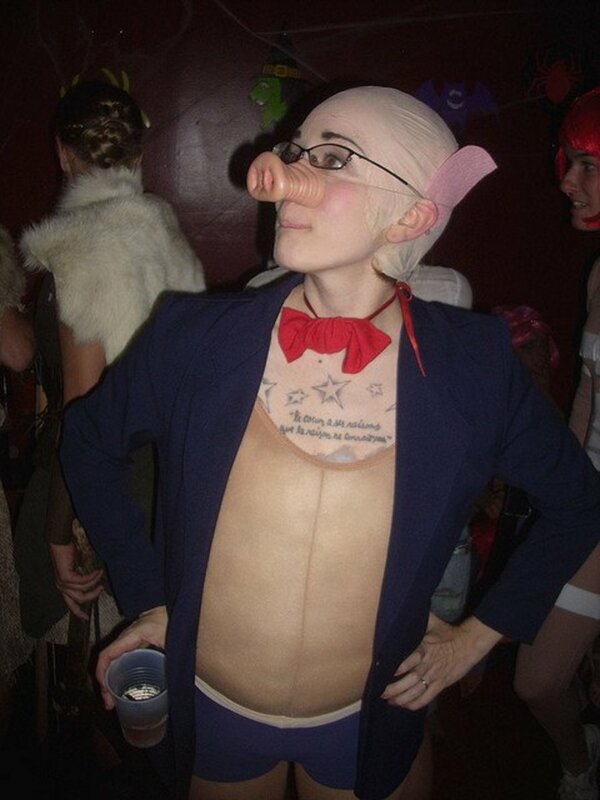 Here is a good example of what a full Porky Pig costume looks like. The head is apparently professionally made, although there are interesting elements that could be fairly easily replicated, such as the shape and look of the over sized nose, which look very good. 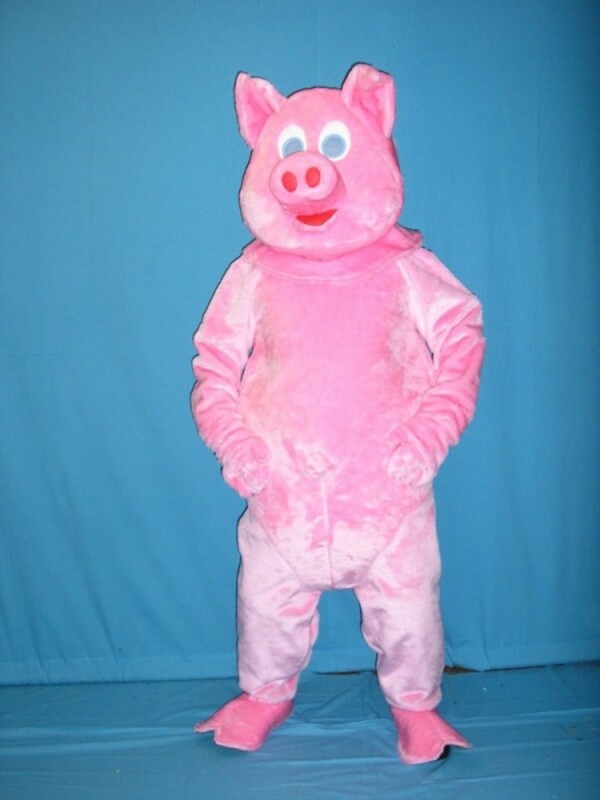 What I really wanted to show though is the body suit, which provides an idea on how a pink outfit would look with a head of Porky Pig. 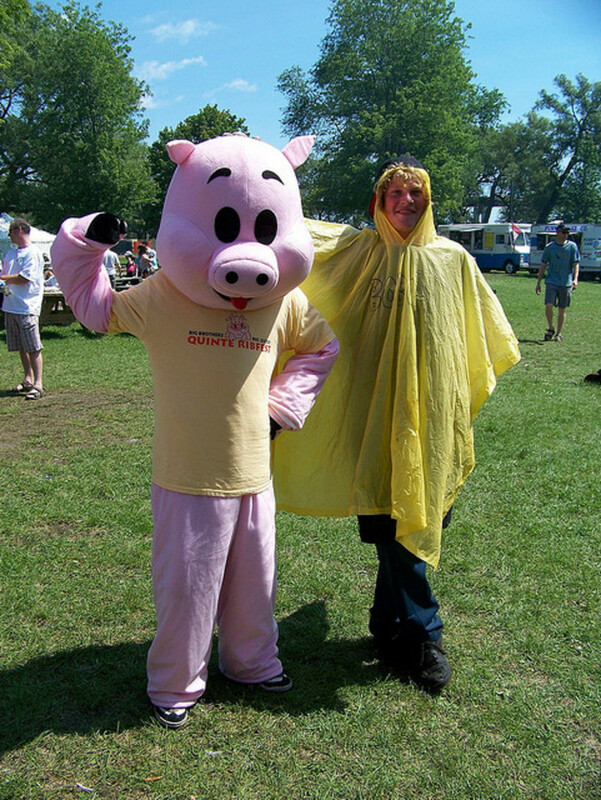 Below are a couple of commercially designs pig costumes, included to give some more ideas on how you may want to design your own. Here it is more a look at the hands and feet of the two pigs I was thinking of, as they offer a couple of different looks you may want to incorporate into your Porky Pig costume. Also notice how the different eyes, ears and nose create completely different facial looks. Well there you have it, a quick look at various options you have to put together a Porky Pig costume. Everything about Porky Pig is associated with the head, and the rest is just to add proportion and complementary additions to the overall look. So if you get the head right and get some pink clothes together for the body, you're ready to go. But even if you don't get the head right, like shown above, it can still be so hilarious that it does the job of attracting attention and having fun, and after all, that's what wearing a Porky Pig costume is all about.